TANCET is Tamil Nadu Common Entrance Test for the studies in MCA, MBA, M.E, M.Tech, M.Arch and M.Plan. This is the eligibility exam for the studies offered by Anna University and other Government Engineering College in Tamilnadu. This is conducted by Anna University. Few other Private Colleges and Self- Finance colleges also acknowledge this exam for their admission. The students studying in the final year degree and final semester in the eligible courses for these studies can apply. 1). 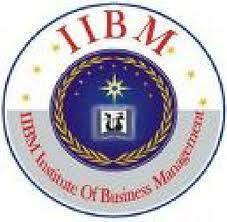 For MBA Program: A pass in a recognized bachelor’s degree of minimum 3 years duration and obtained atleast 50 % (45 % in the case of candidates belonging to reserved category) in the qualifying degree examination. 2). For MCA Program: A pass in a recognised Bachelor’s degree of minimum 3 years duration with mathematics at 10+2 level or at graduate level and obtained atleast 50 % (45 % in the case of candidates belonging to reserved category) in the qualifying degree examinations. 3). For MCA (Lateral Entry): A pass in a recognized bachelor’s degree of minimum 3 years duration in BCA, B.Sc. (Computer Science/Information Technology) with mathematics as a course at 10+2 level or at graduate level and obtained atleast 50 % (45 % in the case of candidates belonging to reserved category) in the qualifying degree examinations. 4). a) For M.E/M.Tech/M.Arch/M.Plan: A pass in a recognized bachelor’s degree or equivalent in the relevant field and obtained atleast 50 % (45 % in the case of candidates belonging to reserved category) in the qualifying degree examination. (i) B.E/B.Tech/B.Arch degree program (or) (ii) B.Pharm/B.Sc (Agriculture/Forestry/ Horticulture/Fishery) degree program (or) (iii) Master’s degree in the relevant branch of science/ arts, which are prescribed (or) (iv) M.Sc. (5 years) integrated degree program (or) (v) B.Sc. 3 years (Computer Science/Information Technology) and M.Sc. 2 years (Computer Science/ Information Technology (vi) MCA (3 years) after 10+2+3 years bachelor’s degree (vii) MCA Lateral Entry (2 years) after 10+2+3 years degree in BCA or B.Sc. (Computer Science/ Information Technology). b) (i) 10+2+AMIE* (or) (ii) 10+3 years diploma (awarded by the State Board of Technical Education) + AMIE*. Application form is common for all three entrance test. Candidates have to submit only one application form. A candidate applying for more than one program has to pay Rs. 500/- (Rs. 250/- for SC/ST/SCA candidates belonging to Tamilnadu) for each additional program. A single demand draft is sufficient for one or more programs. Copy of X Std. or equivalent mark sheet. Copy of XII Std. mark sheet or 3 years Diploma certificate. Entrance test fee in the form of cash (or) Demand Draft. SC/SCA/ST candidates belonging to Tamilnadu have to produce a copy of the permanent community certificate (card format) for availing fee concession. Entrance test fee in the form of demand draft. An attested copy of the permanent community certificate (card format) issued by the competent authority of Government of Tamilnadu (for SC/SCA/ST candidates belonging to Tamilnadu). For candidates who register in person, cash or a demand draft for Rs. 500/- (Rs. 250/- for "The Secretary, TANCET, Annna University, Chennai,” payable at Chennai, obtained from any nationalized bank drawn on or after 01 feb, should be submitted along with the filled-in application, towards the entrance test fee for any one of the programs MBA (or) MCA (or) M.E/M.Tech/M.Arch/M.Plan. The duration for MBA, MCA and M.E/M.Tech/M.Arch/M.Plan exam is 2 hours each. Evaluate the skill of the candidate in answering questions based on the passages in the comprehension. Evaluate the skill on solving mathematical problems at graduate level including those learnt in plus two or equivalent level. Test on determining data sufficiency for answering certain questions using the given data and the knowledge of mathematics and use of day-to-day facts. Test the knowledge on written English with questions on errors in usage, grammar, punctuation and the like. A few questions may also be on verbal activity, basic ccience, etc. 3). For M.E/M.Tech/M.Arch/M.Plan: The question paper will have three parts. Part-I and Part-II are compulsory and under Part-III the candidates have to choose any one section out of 14 based on his/her specializations. The questions will be set at undergraduate level.